Damn you Givenchy for producing something this ugly. 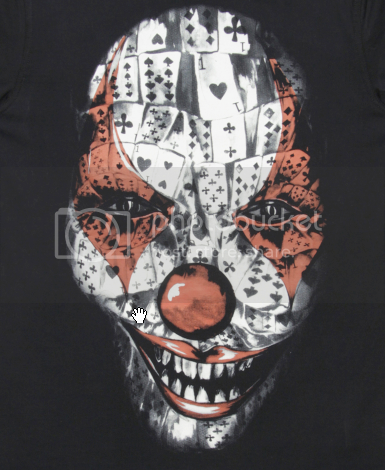 You have no right to offend our eyes with your Stephen King meets Insane Clown Posse wanna-be shirt. 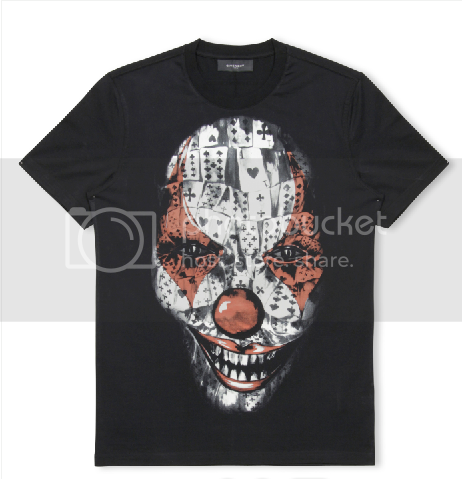 I'm not sure who at the top of your high fashion ranks approved this design, but I do know that if I go to Hot Topic I can get something eerily similar for $275 less then the retail price of your shirt. But do I even want to go to Hot Topic? No.